The election of Donald Trump is sure to have wide-reaching implications for markets. 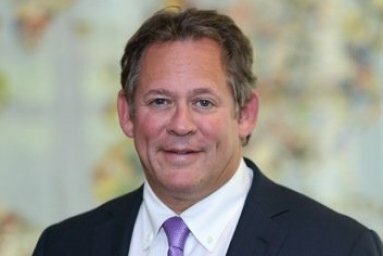 BlackRock’s Rick Rieder sets out what it could mean for bonds. The surprise election result in the United States two weeks ago saw Mr Trump elected to the presidency and both houses of Congress remaining in Republican hands. It defied all the major polls and called into question many expert opinions. A Trump presidency introduces many uncertainties to the path of economic and monetary policy, the legislative agenda and regulatory framework, and international relations and trade policy, but there are some tentative points we can make about its likely influence on bond markets. We think a few key trends that were already in place are likely to accelerate. We are probably going to see a significant shift from monetary policy stimulus to fiscal policy initiatives, particularly in the area of infrastructure investment at the federal level. This may well aid in accelerating the pick-up in inflation levels that are already under way and it will also likely result in a steepening in the yield curve over time. Of course, there are several ways this infrastructure can be financed and if done properly it could benefit from the extraordinary financing conditions we have today. Thus, we’ll be watching closely for signals of how added spending will be financed. While overnight Asia markets experienced a great deal of volatility, equities were fairly subdued at the US. This underscores the difficulty in predicting the reaction of markets to uncertain political events. That said, we think there are some common misconceptions that investors should guard against. Specifically, with bonds and equities more correlated today, investors must not assume that rates will always rally when risk assets are hurt. Moreover, while some believed that the USD would ultimately decline on a Trump victory, we think this view is mistaken and the dollar is more likely to range-trade for a time or even strengthen, depending on the direction legislation and policy take in 2017. We are cautious about how the election result will impact the emerging markets debt space, as trade policy uncertainty and a potentially higher USD would potentially weigh on the asset class. Still, as we’ve argued in recent months, the need for income isn’t going away and the carry potential, particularly in the front to middle segments of select EM country rates curves, should still be attractive. The thing to watch will be capital flows as a good amount of money has shifted in EMD, but it will be important to see if investors have the patience and wherewithal to stick out any near-term headline risks. We think the election result should be, broadly speaking, positive for US corporate credit sectors, which may now operate in a more business-friendly environment. That could potentially include relaxed regulatory burdens, lowered tax rates (and/or one-time overseas capital repatriation), and several industry-specific tailwinds that aid credit markets. Interestingly, if personal income tax rates were to decline, however, and additional infrastructure spend were partly financed in municipal markets, that could be marginally negative for muni performance. As a result, we continue to like rates markets ranging from the front end of the yield curve to its belly. We are still positive on long-end investment-grade corporates. We are cautiously optimistic on the carry prospects for shorter to intermediate EMD (as long as the dollar remains contained and we do not descend into a trade war) and we think TIPS have an important place in portfolios today. Further, some high cash flow securitized asset markets continue to appear attractive and given that the US is likely to continue to progress down a path of interest rate normalisation, diversifying rates exposures globally also makes a great deal of sense. Finally, there’s a great deal of uncertainty about how the election changes the Fed reaction function at its December meeting, since a lot can happen between now and then, but if markets remain stable and labour markets don’t dramatically falter, we would think the central bank will go ahead with a quarter-point hike.